Come check out this delightful home in the Boulders at Crystal Falls! This open floor plan has tons of natural light, lovely arches, and high ceilings. The kitchen is open to the living room and has a great breakfast bar and walk-in pantry. Spacious master bedroom and bath with a separate shower and huge closet. The backyard is perfect with a covered porch and large, private yard. Minutes from 183 and the toll road! You don't want to miss this move-in ready home! 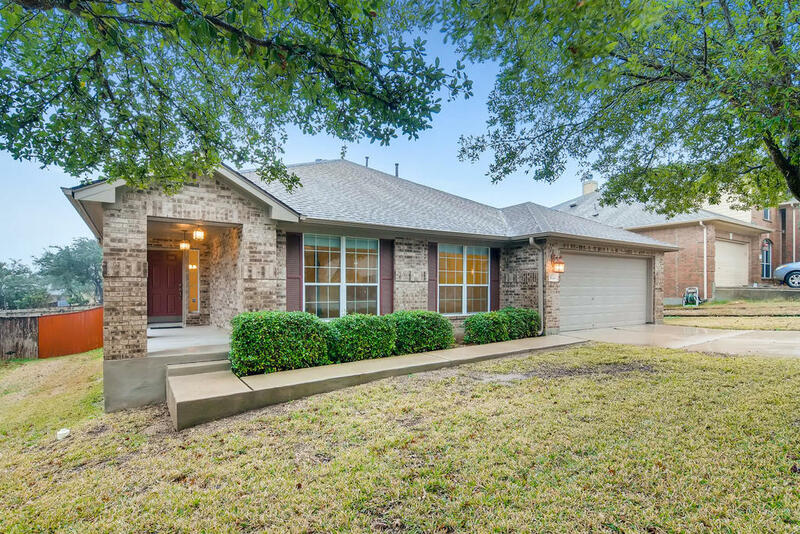 For any questions or offers, please contact Andrea Ryan with Papasan Properties at 512-330-1004!